After November 1st, 2012 a $20 administration fee will apply. Experience: Little or none for child, some for adult. This session provides an opportunity to enjoy teaching your own child to skate with the help of a professional coach. Parent or helper must be 18 years or older. It is best if the same adult comes every week as each person on the ice has to be registered with Skate Canada. Skaters on this session will not participate in the Carnival. Properly fitted CSA approved hockey helmets are required. Children are taught through games and following others, to fall down, get up and enjoy their skating experience. Professional Coaches will supervise this program with the help of qualified Program Assistants. No parents or siblings are allowed on the ice. This session is for those children who want to learn speed, stopping, turning and backward skating. This session is for those children who want to enhance their speed, turns and power. Experience: Very little. Encompasses Canskate Levels 1 through 7. The Club recommends that skaters choose the 2-day a week session in order to progress faster. The Canskate program offers opportunities for skaters to develop basic skating abilities with the option of taking Skate Canada tests, while earning awards and incentives. A Professional Coach will supervise all sessions with the help of qualified Program Assistants. Each session will be comprised of a warm-up period, a teaching component, a review and a cool- down period. Children will be assessed on a daily basis and progress at their own rate. Properly fitted CSA approved hockey helmets are required for Stages 1-5. A Canskate Enrichment Program will be offered to skaters registered in the 2-day a week Canskate program and wish to advance at a faster rate. Skaters will spend 15 minutes each week on Saturday in a semi-private lesson with a Professional Coach. This program is offered at an additional price. Session runs 9 weeks from Oct.13 to Dec.8 and 5 weeks from Jan.12 to Feb.23. Wednesdays will be a group session with a Professional Coach running the program, assisted by qualified Program Assistants. New this year, a session of STARSkate (Pre-preliminary) Dance, with lessons included, has been added on Wednesday night. Fridays will be an introduction to private ice. Each participant will receive a 15 minute semi private lesson (included in the price) from one of our Club Coaches. During these lessons the skaters will get help with the individual skills in their badges and may learn a routine made up of previously learned skills. During the rest of the time the skater will practice his or her skills on their own with assistance when needed by a Program Assistant. There will be an opportunity for many of the STARSkate (Pre-Preliminary) skaters to participate in our club Pop Concert, and some may even want to participate in a competition. Properly fitted CSA approved hockey helmets are required up to Cankate Stage 5. Please contact Donna at 519-542-6936 for information. Establish general goals with your skater. Determine if he/she wants to skate for fun or if they wish to compete. A definite decision is not required at this time, but this may help in the decision-making process. Select and contact the Professional Coach of your choice from the list in this brochure. Each Coach has different qualifications, philosophy and lesson rate. Ask questions to ensure that your goals will match those of your coach. It is essential that you build a cooperative and trusting relationship. Select ice times with your Coach that work best for your skater and your coach. Select the lesson types based on Steps 1, 2 and 3 and register for those. At Point Edward Skating Club, we refer to this as Private Ice. Skaters may be taught in group or private lesson format and may choose to take tests, which are evaluated by Skate Canada evaluators. There are also many competition opportunities for STARSkate Program skaters, including the National STARSkate (Interclub) Championships. Various STARSkate program handbooks, guide, technical manuals and video. The Club recommends taking the two-day a week session as skater's progress better. Once a week sessions are Saturdays from 12:20 to 1:10pm. This program offers opportunities for skaters to develop basic skating skills with the option of taking Skate Canada tests while earning awards and incentives. A professional coach will supervise all sessions with the help of qualified Program Assistants. Each session will be comprised of a warm-up period, a teaching component, a review and a cool-down period. Children will be assessed on a daily basis and will progress at their own rate. An "Enrichment Program" will be offered to skaters wishing to progress at a faster rate and taking the 2-day per week Canskate Session. Skaters will spend 15 minutes each week working in a group with a Professional Coach. Some will be taught solos and have the opportunity to compete in a Competition. Offered for skaters working on Canskate Skills 5-7. Skaters will be divided into groups. Professional coaches will give group lessons. Skaters may also arrange private lessons on this session. Skaters are encouraged to learn to skate on their own and practice what they have been taught. Skaters can also prepare solos and enter a local competition. Establish General Goals for Skating - discuss with your skater whether or not he/she wants to skate for fun or if he/she wants to eventually compete. It is not necessary to make a decision now, but it is a good idea to know where you are headed. Select ice times - Select skating times with your coach that work best for your skater and your coach. Select Lesson Type - Based on Steps 1,2,3 above, discuss the type of lessons you desire or can afford. Contact the Club - once you have everything set up with your coach in terms of lessons and ice times, you can register for the Junior Sessions you desire. PRIVATE LESSONS - are a benefit to skaters at all levels (including Canskate and Pre-Preliminary sessions) and can speed along the progress of a talented skater, or can help a child having problems catch up to his or her friends. Private lessons will make your child's skating experience more positive. You can book private lessons with any of our coaches although all coaches are not available for all sessions. Reserve your lessons soon as our coaches book up early. Skaters must request permission in writing from the Board of Directors, to skate a higher session to accommodate a coach's lessons. Home Club and qualified members are registered first. Junior, Intermediate and Senior sessions are available for skaters wishing to further their abilities. They have the option of becoming competitive and competing in various competitions leading to National or higher levels. Skaters also take Skate Canada tests. Once a skater has passed Preliminary Freeskate, enroll in Intermediate session. Once a skater has passed Senior Bronze Freeskate, enroll in Senior Session. Opportunity and potential to be selected to represent Canada internationally at one of more than 30 competitions each year. Access to sport science services. Enjoy your child's progress and make some new friends!  Chocolate Bars - Each family with a skater at the Canskate level or higher will be required to sell 1 box of chocolate bars to offset the cost of ice time. Chocolate bars will be available at the Arena on Registration Days. Promotional Books - one fundraising book per family is included for Canskate, and Pre-Preliminary skaters. Private Ice skaters are asked to include this in their fees. There are 20 tickets @ $2.00 in each book. Once you sell all the tickets, please Return the ticket stubs to the name indicated on the outside of the booklet. If you are interested in volunteering with our various fundraising activities, please contact a Board Member.